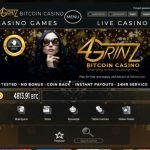 4Grinz is the go-to online casino for Bitcoin gambling enthusiasts who enjoy placing bets on the array of casino classics paired with huge bonuses. 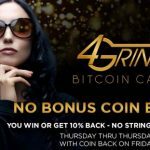 4Grinz is an online casino dedicated to Bitcoin players only. Those who enjoy the classic casino games paired with the revolutionary services in today’s market are its primary targets. 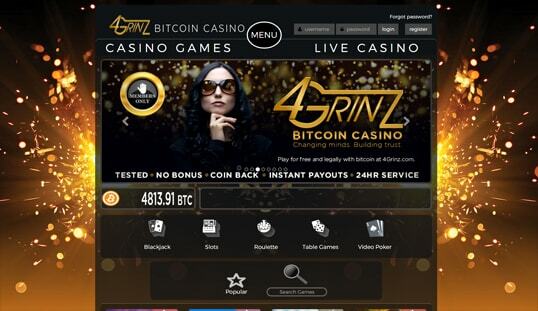 This Bitcoin casino entered the market early 2015, and it belongs to the network of casinos powered by CoinGaming.io. 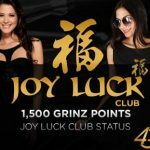 It is licensed by the government of Curacao and promises a roster of online casino services and games that strictly adhere to the benefits of Bitcoin gambling. The all-time favorites blackjack, roulette, and other table and card games are one of the most played games in its library. There are hundreds of games in this casino, and a large share of it is the Bitcoin slots developed by various game providers. What makes these games all the more attractive is the fact that they are played instantly in any web browser without the need to download any software. The live dealer casino games complete the gaming offerings of this casino, where players can wager on live table games in the comfort of their home. Meanwhile, Ezugi is responsible for the live dealer casino games featured on this website. Signing up for an account takes only a minute or less. A valid email address will be required, as well as a username and a password. Once the form has been filled out, you instantly have an anonymous Bitcoin account. Deposits should be a breeze, since you are given the option to use the Deposit QR code or manually transfer funds from your wallet to the account address. if preferred. 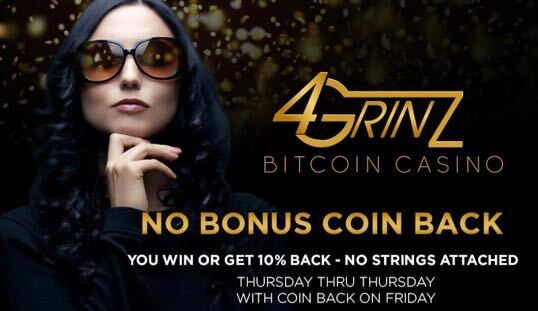 This Bitcoin casino has an interesting set of bonuses and promotions. The No Bonus Coin Back enables players to withdraw their wins right away or receive 10% Coin Back for their lost wagers. 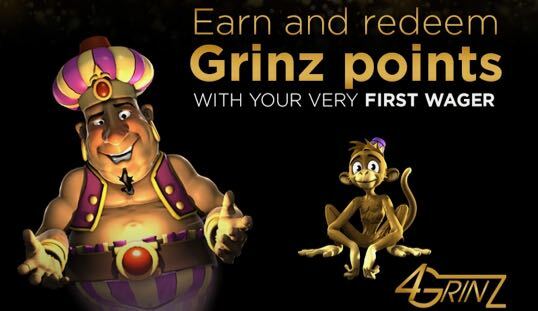 Players can also earn Grinz Points with every bet placed on any game. 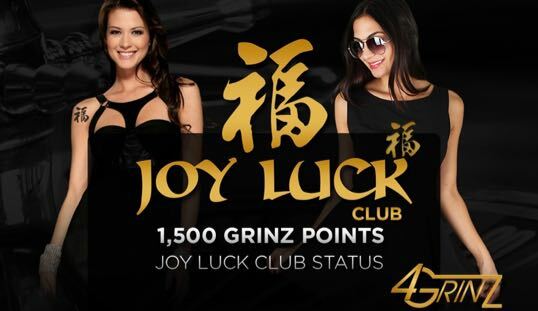 These points will be their ticket to improve player status and become members of the Joy Luck Club and VIP Red—exclusive membership statuses that comes with special offers and the option to redeem points for real bitcoins. Selected Bitcoin casino games can be accessed on mobile using any smartphone or tablet. 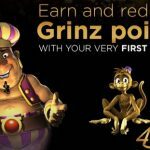 There is no need to download a mobile app in order to play on 4Grinz. Live chat support is the primary means for players to reach customer assistance. Fortunately, the operators respond quickly and provide solutions. You may also send queries to the email address provided.